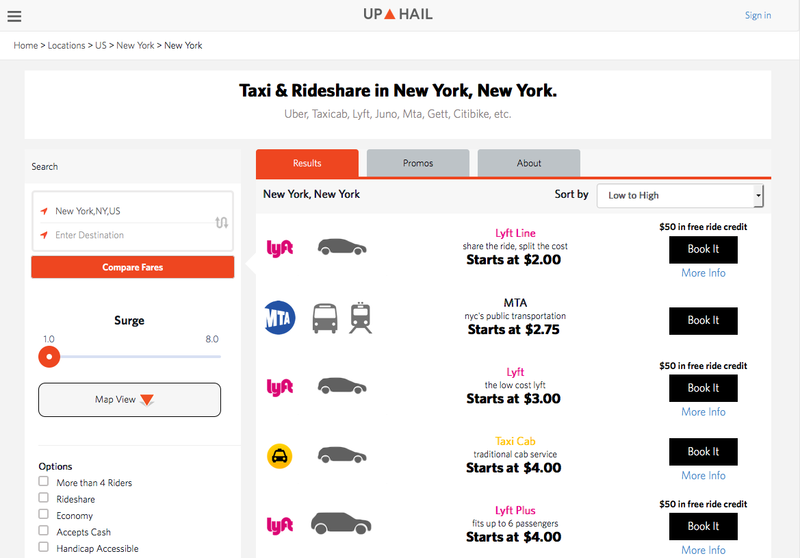 Our Up Hail web app lets you quickly compare the costs and options of ground transportation services, including Uber, Lyft, taxis, buses, and bikeshares. You simply enter your origin and destination and click a button, and Up Hail shows you the best deals. Up Hail started two years ago as a small Flask app on a simple virtual machine. We set out to answer two simple questions: Where do the major ride-hailing and ride-sharing services operate, and which one is the least expensive? Fast forward two years later, and millions of people have used the app to get fare quotes and to discover new, related services. Tens of thousands of new users are signing up and creating accounts each month. Avi Wilensky is the founder of Up Hail, a travel app for ground transportation, and is based in NYC.